Ever wondered what life is like for a 12-year-old with bilateral cochlear implants? 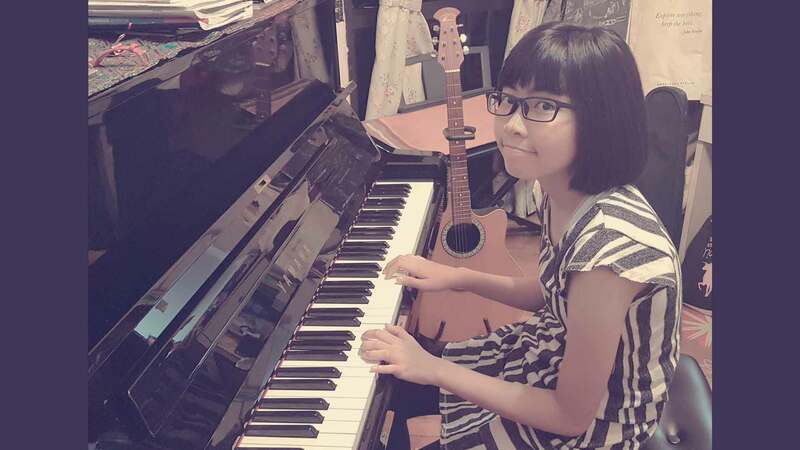 We interview 12-year-old Talia from Singapore, who was born deaf, and uses two cochlear implants to hear and play music! Hi, I am from Singapore, a multi-racial country! I am 12 years old and I am in grade 6. I was born with profound hearing loss and was implanted with CI on both sides at the age of 10 months. What are your hobbies or things you enjoy doing? My hobbies are playing the piano, sketching anime characters, and playing badminton! I also enjoy reading books and comics! What do you think about your cochlear implants? I find my cochlear implants helpful as they helped me to hear the world and gave me many opportunities to do the things that other normal people can do. My implants also enabled me to learn things faster and easier, and make a lot of friends through talking with them. Do others at school ask you about your cochlear implants? Yes, they do, especially my classmates. When they got to know more about me, they noticed that I was wearing something on my ear, and asked me what it was. At first, I was afraid to tell and explain to them what I was wearing, as they might not understand me or even make fun of me and call me names. But I mustered enough courage and told them about my cochlear implants. They treated me like a real friend and a normal person, as I think that they realized that I had many talents, especially in sports, even though I have hearing loss. I am grateful that they treated me with respect all these years. How does a CI help you at school? The CI helps me to hear and understand what the teacher is saying. It also helps me to communicate with my classmates easier, during projects or class activities, like school camp, where we had to communicate a lot and have teamwork. I’ve been using a device called an FM System, where my teacher uses a device with a microphone that sends what they are saying to my RONDO audio processor. This helps me to hear more easily, especially in loud conditions or over long distances. I also sit at the front of the classroom, so that I can hear better as it is near my teacher. Has there ever been a time where hearing loss has stopped you from doing something you wanted to do, or when you’ve found hearing loss annoying or tough? No, it has never stopped me. I don’t find it annoying as I can switch it off in a loud area, unlike normal people. Even my friends envy me! What are some of the best things about being able to hear? I get to communicate with people around me like a normal person, and I get to listen to music, as well as listen to myself when playing the piano. Some of my favorite sounds are the melody of the piano and relaxing music. How does a CI help you with playing music? It helps me to recognize the piano key that I am playing, how melodious it is and how a certain instrument sounds. It makes me like the sound it makes, and I like the sound of the piano best. How did you find out about winning a place at Beats of Cochlea? I found out when my mum messaged me that she received an email informing her that I was selected to go to Poland. When my mum explained that I will get to perform there, I was jumping on the sofa and was excited. It was a perfect opportunity to perform my talent overseas! I was overexcited that I eventually told the whole class and they were excited for me and congratulated me too. But they told me they will miss me as I was very cheerful in school. I am not sure about my future career but I might want to be a teacher like my mum. I might want to teach the disabled students so that they can have the opportunity to learn more! Liked this post on Talia’s life with two cochlear implants?